Learning disability assessments help schools determine what children's learning problems are, how severe they are and the early intervention needed to prevent the difficulties from worsening. Testing is an important part of finding out if a child has a learning disability and if he qualifies for special education programs. You might be afraid of your child getting a diagnosis of a learning disability. But the sooner the problem is identified, the more quickly your child can get the help he needs to counter a disability's effect on his academic performance and behavior in school. If a parent or teacher suspects a child is seriously struggling in school, they can make a formal request to initiate testing to identify the root of the problem. Before students are evaluated, schools arrange a formal referral meeting where educators and other professionals discuss the child's history and performance in school. Parents are important members of this team. The team, sometimes called the Individualized Education Program team, determines if learning disability tests are needed. Before testing, teachers and other school staff members will study the child's learning problems and any other concerns that may be affecting his learning. Schools will develop an intervention plan to address the problems a child has. This period of intervention, called response to intervention, is required by federal law. Examples of the kinds of problems that would be addressed before testing include poor attendance, physical problems such as hearing or vision difficulty, frequent moves to different schools, and inadequate learning experiences. Any traumatic experiences a child has endured may also be examined. Assessments are usually conducted by school personnel. Evaluation teams may include school psychologists, teachers, educational diagnosticians or occupational, physical, or speech therapists. Parents should not hesitate to ask teachers or school officials about how assessments for learning disabilities will be executed and by whom. Intelligence Tests: Also called IQ tests, these instruments measure aptitude, the capacity to learn rather than what the child has already learned. IQ tests include activities designed to provide a complete picture of how students learn. Typical tests include language-based and visual reasoning. Developmental and Social History: Usually completed by parents or guardians, these narrative questionnaires provide important facts about the student's development. They often include questions on when your child reached certain developmental milestones and whether he has physical problems, disabilities, health problems, or medical treatments. Records Review: Research on the student's background can help examiners identify other factors possibly contributing to the student's learning problems. Behavioral Observations: Observing the child may identify factors in the classroom affecting the student's learning. 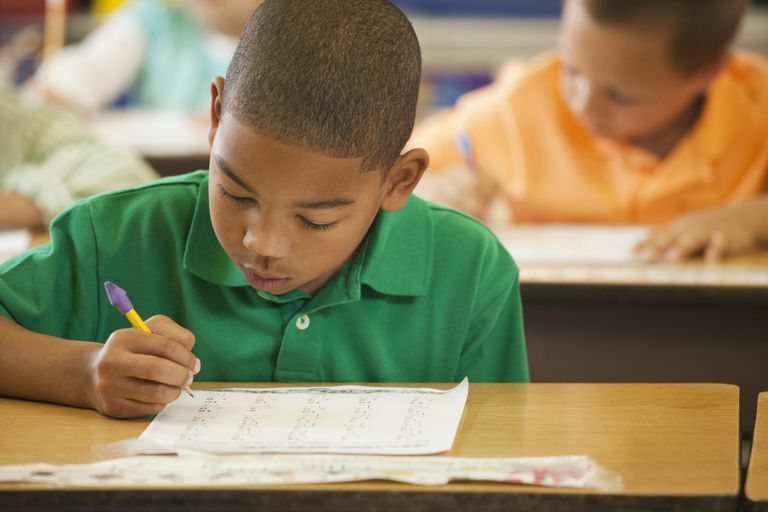 Achievement Testing: This testing determines the child's current academic skill levels. Standardized tests may assess reading, math, and written language as well as subject areas such as science and social studies. Adaptive Behavior: This assesses a student's ability to perform tasks necessary to maintain self-care, interact in socially appropriate ways, and to safely work in and around his school and home.